Maureen, a reader of my Celtic Symbols for Motherhood Tattoos post asked if I could put together a blog post for her to help her get an idea of what type of tattoo she should get in memory of her mother. I love reader requests and I would like to dedicate this Mother’s Day tattoo post in honor of her mom, those mothers who have passed – and those moms who are still with us today! Mom tattoos are probably one of the most popular types of tattoos. Besides your children, your mom is the one constant symbol in your life – no wonder why so many choose to ink a special piece in their name! Mom tattoos should be meaningful to the wearer: have a design drawn that is unique to you – that will remind you of the bond you share(d). These in memory of mom tattoos are great for both men and women. 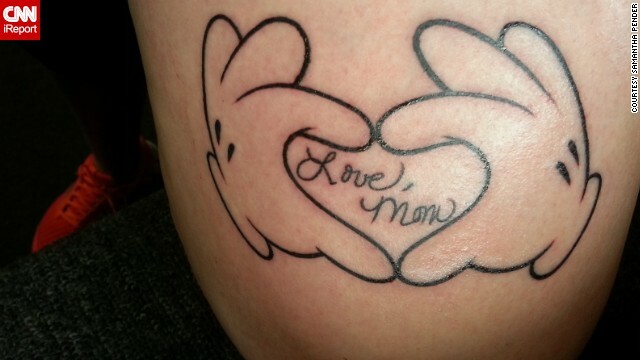 You can honor your mom with one of these types of tattoos to show her how much you appreciate and love her. 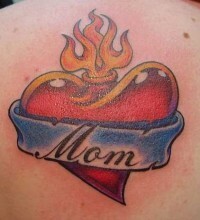 Some people choose classic Mom tatoo designs with traditional symbols of hearts, wings, anchors, birds, banners, swords. If your mom had a favorite Bible quote, you can ink that too! Some moms are gamer moms – always remember who taught you how to play! Because mom is always the Queen of her Castle, the ruler of her roost. You may also want to think about a quote tattoo – something that your mom always said to you or something that reminds you of her love. You could put the date she passed on, or the years of her life along with the quote as well. You could also have something inked that is neither specifically a “Mom” tattoo and is completely unique but dedicated to her. This person’s mom loved deer. Deer reminded her of her mom. This is a beautiful unobvious memorial tattoo. It is sound waves of a mother’s last voicemail to her son. If she has battled breast cancer, a memorial tattoo honors her battle. I found this tattoo on Moonstrucktattoo.com but the domain no longer works. Personally my grandmother loved Irises – if I was to get a tattoo for her, I would ink an Iris in her memory. Finally one of my favorite types of tattoos to honor mom are tattoos done in their handwriting. Source of the above is unknown, the website no longer works as well. I hope this post for Mother’s Day inspired you on your search for memorial tattoo ideas for mom. 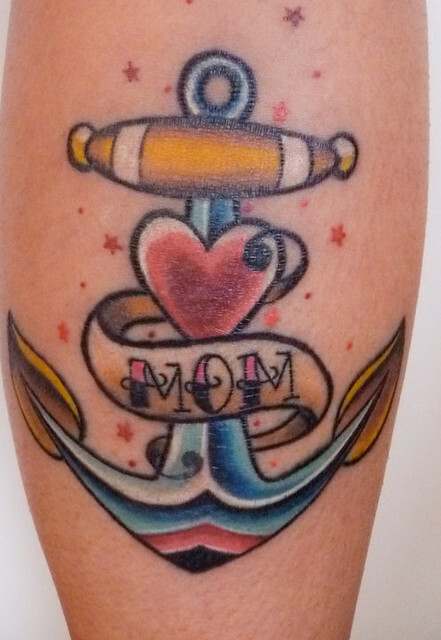 You can find plenty more tattoo inspiration on our Pinterest boards we have a board dedicated to Tattoo Ideas to Honor Mom with over 100 ideas. And Mom, thank you for all that you do and all you have done. Happy Mother’s Day to you!